There are some really fun ones out there, about how millennials are weaker than their parents, and how their neurological wiring explains their short attention spans. Most importantly these articles are mostly drawn up in the marketing world, and with good reason. Since millennial buyer behavior is so vastly different than what traditional advertising channels can influence, understanding the demographic completely, is vital. Without going too far into a tangent, this generation is simply very different from what organizations are used to. Because of this, the fact that members of this unique age bracket are finally starting to mature and fill important roles within organizations across the world leads to a solid amount of conjecture. With this new landscape and their bright-eyed and bushy-tailed outlook. It is important that we try to understand exactly the training and development challenges that they may represent. As a millennial myself with a fair amount of work experience, I offer a unique perspective on how learning works differently for myself than people that have filled my roles before me. But before we begin, let’s make sure we’re on the same page. The dictionary accepted definition of what we are talking about: “a person who was born in the 1980s or 1990s” (Merriam-Webster’s Learner’s Dictionary) is relatively broad. Each generation has its quirks and identifying characteristics, both positive and negative. However, it is important we do not harp on those. In order to develop an effective learning plan to account for this particular generation, it is best to play to their strengths. We have grown up in an inclement technological landscape, seemingly with the devices themselves. Each moment from the time we first picked up a keyboard, to now, is encapsulated in a trend of growth. The computers became quicker by month, they changed size, formats, shapes, in storage capacity, and are continuing to adapt in large part to this generation’s inclusion on forward tech designing teams. The culture around the youth of this generation was forged on the idea that we would be glued to computers throughout our aging and we were. As such, we are comfortable in most environments, are quick to adapt at the introduction of a foreign software and interface, and willing to take on complicated items they may seem daunting to the world before us. Perhaps our greatest perceived weakness is our greatest strength. There never seems to be enough screens to quench the thirst of a millennial. We move to our smartphones, to our laptops, to the attached screens on our desk, and at any time we could have hundreds of active tabs open and ready for our immediate use. To many, this is construed as a distraction. However, when properly nurtured this can be a great strength for any personnel within your workforce. The ability to keep eyes on multiple functions at once allows for more processes to be done, and quicker. In the age of lean operations, this is a dynamic characteristic to possess. Millennials grew up in a world demanding popularity and are a huge part of why people with obscure talents can now easily find their quick fifteen minutes of fame on the internet. Their entire lives have been placed on display for your viewing pleasure via social media, and strangely, have managed to benefit from the situation entirely. Social media, in theory, should be a detriment to an individual’s development. Instead, it allows for collaboration the likes organizations have never before encountered. Your customers are a tweet away, and millennials understand this, as well as how to get to them. They also know how to partner up to accomplish a task because of these reasons, as well as who they need to approach in order to do this in the most effective manner. “I don’t know how to do that. Can you help me?” Are words not often said by millennials. Instead, it is more something along the lines of, “I vaguely recollect that situation in comparison to something else, let me google it in order to figure out how to complete the task.” Millennials are rarely stumped in their work environments because they understand that the answer is merely a search away, they also know how to find the answer if it is buried deeply in a minefield of clutter. Due to our inclination to excel on the technological front, millennials need access to learning on a variety of platforms. Or as many as they’re currently being distracted on. By catering your learnings to adhere to these platforms, you are taking the first step in the right direction to cater to your millennials’ needs. Because of our inclination to multi-task, mix the delivery method within the learnings themselves, we are highly responsive to mixed media and in general a good rule of thumb is not to pigeonhole the learnings into a solely text-based output in the first place. Thirdly, use social learning. I cannot stress the importance of this element enough. 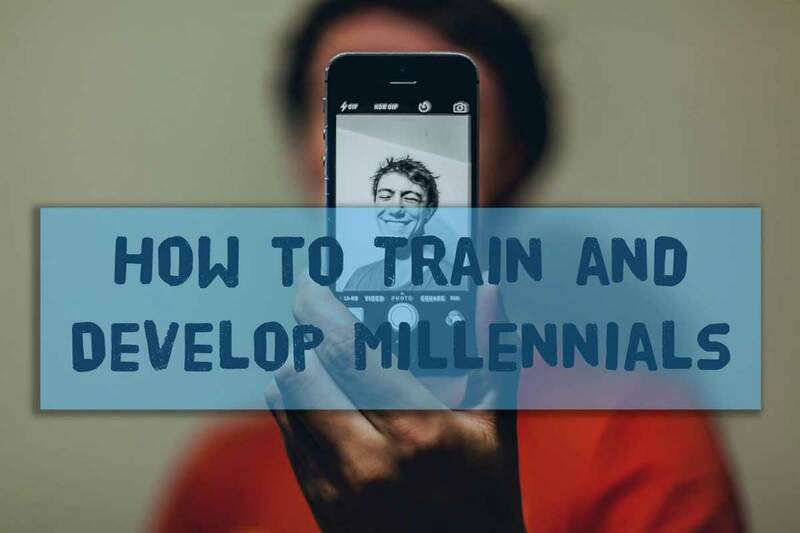 To get the most out of your millennials you need to allow them to work on their level of comfort, socialize, and develop working relations with each other through the seemingly unconventional method of electronic means. You’ll be surprised at how quick they bond together and begin developing strategies to enhance the organization in general. Fourthly, and finally; challenge them. Millennials are most responsive to situations in which they are forced to think, though most would not admit to it. We are a thinking generation, there is a reason our head is often in the clouds. If you keep these suggestions in mind while developing a learning program, you will surely develop an atmosphere that caters to the new demographic that it seems the world just do not understand. I hope you enjoyed this post, please to continue to join us here at the Gyrus Systems Blog for relevant topics in the field, current events, and attempts at forecasting the future of our industry. "Millennial Definition." Merriam Webster. Merriam-Webster's Learner's Dictionary, n.d. Web. 24 Aug. 2016.